Raw sesame seeds using vibrating screen or plane rotary screen cleaning, the impurity content of 0.5% or less. And then using vertical rolling mill into a thickness of 0.3-0.4mm raw embryo, the auxiliary steaming wok and pressing steamed wok fried steamed into the screw press the cooked embryo with moisture content of 1.2-2.0%, temperature 125 -130 ° C. Crushing the crude oil sent to refining. 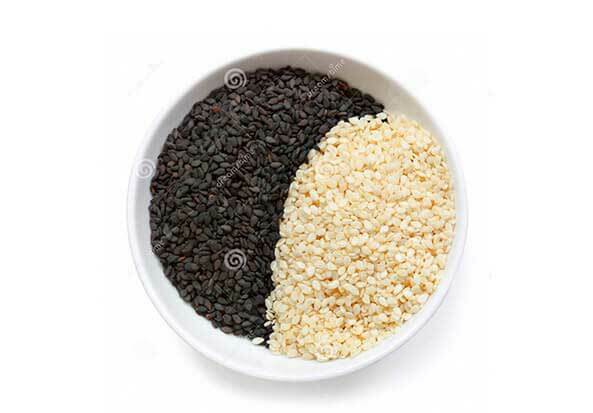 Sesame cake for leaching, get the sesame meal and leaching of crude oil, crude oil is also sent to refining.